Michael has extensive experience handling matters involving the Minnesota Board of Medical Practice, the Minnesota Board of Nursing, the Minnesota Board of Dentistry, the Health Professionals Services Program (HPSP), and other health and medical boards. Michael founded Weber Law Office - the predecessor of Weber & Nelson Law Office - in 2000. 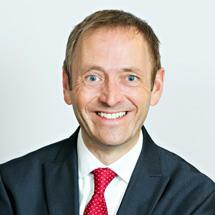 Michael's practice areas include health law, business and employment law, wills and probate, and trials and appeals. Michael started his law practice in 1993, as an Assistant Attorney General in the Minnesota Attorney General's Health Licensing Division. He represented a variety of health professional boards, providing legal advice and handling disciplinary cases dealing with incompetent care, chemical dependency/mental health, sexual misconduct, and fraudulent billing. Michael graduated from Stanford Law School in California, where he served on the law review's senior staff and was co-president of the moot court competition. He did his undergraduate work at Washington University in St. Louis. Michael is licensed to practice law in both Minnesota and California.